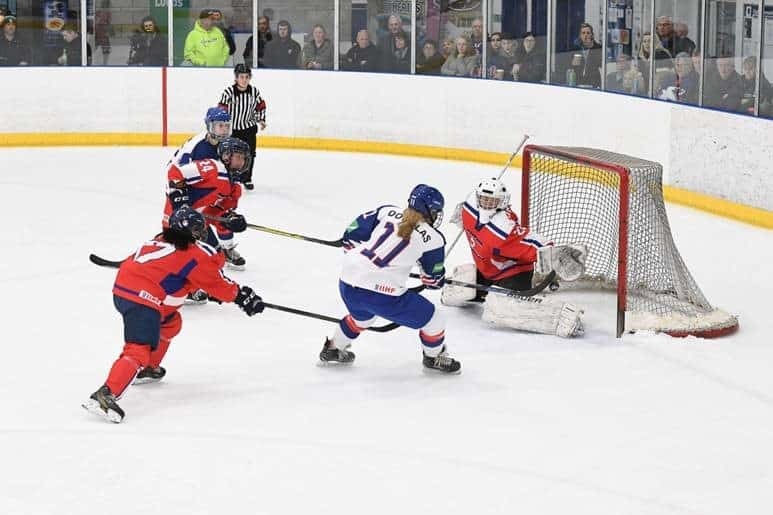 Great Britain Women’s Ice Hockey team secured the silver medal position in the International Ice Hockey Federation’s Division II Group A tournament that concluded in Dumfries this week. The youthful squad were praised by Head Coach Cheryl Smith who, despite her disappointment at not winning Gold, declared proudly that the future of the national team is in safe hands. The World Championship, played at Dumfries Ice Bowl, brought six competing nations to South West Scotland – the seventh such World Championship to be hosted by Ice Hockey UK and Dumfries and Galloway Council on behalf of the International Ice Hockey Federation in recent years. Slovenia won gold and Spain, an emerging hockey nation, played exceptionally well to take the bronze medal. Dumfries and Galloway Council conducts economic analysis into the positive benefits hosting World Championship brings to the region, over and above the promotion of ice hockey as a wonderful sport to watch and play. The arrival of close to two hundred players, coaches, officials and volunteers is a major boost to the accommodation sector in the town. The World Championship takes place over seven days, which benefits local services, cafes and the promotion of the Ice Bowl itself. The resulting economic impact, in immediate direct terms, is in the region of £170,000.